Welcome to Our Rocky Top Rottweiler Ranch!!! 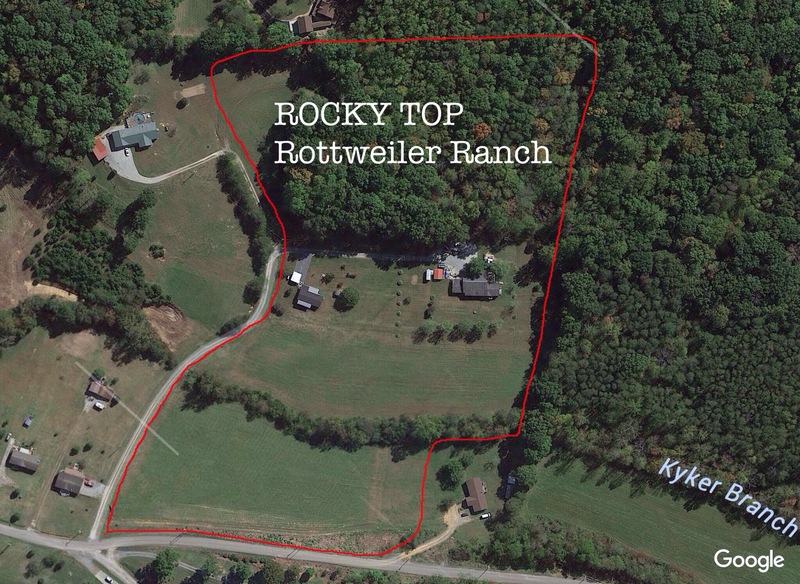 Welcome to Rocky Top Rottweilers, Inc. and Thank You for your interest! Our 13 acre Rottweiler ranch is 35 miles from Gatlinburg, Tennessee and is home to our young family of German and Serbian Rottweilers. Our dogs are part of our family and we are fortunate to be able to spend an abundance of quality time with them. Our Rottweilers have championship heritage and much sought after European pedigrees for the owner who may wish to purchase a puppy to show or breed. We also provide pet quality puppies for those families who are simply looking for a loving and faithful family pet. Rocky Top Rottweilers Inc. strives to find the perfect home for each of our puppies! Visit the Our Males and Our Females pages to learn more about our lovely ladies and gentlemen! 2018 is set to be an exciting time at Rocky Top Rottweilers Inc. where our ranch may potentially welcome three new litters of puppies! ! Visit the Litters page above which has been updated with information on our first expected litter of 2018! Keep checking back to our Puppies page where we will be posting pictures of our puppies once they are born. Visit our Puppy Inquiry page to register for your new puppy now! WE ARE NOW TAKING DEPOSITS ON OUR FALL 2018 ROTTWEILER PUPPIES! At Rocky Top Rottweilers Inc. we also provide basic and comprehensive training courses to help make your new Rottweiler a well behaved and socialized companion both in your home and in other everyday environments. These training courses are available not just for Rottweilers but all breeds of dogs so we can help with your other canine family members as well. Our training course options range from the basic puppy obedience commands through to specific and comprehensive command skills. Please contact us via telephone, text or email as noted on our Contact Us page. We look forward to hearing from you! Thank You again for visiting Rocky Top Rottweilers Inc.